If you live in Utah and you’re trying to adopt a Bengal kitten or Bengal cat, your best choice is to go to a Bengal breeder. These are people who specialize in this breed and really understand the personality traits and how to care for them. If you’re hoping to find a Bengal cat at an animal shelter, you’re out of luck. Bengal cats are an exotic breed and this makes it extremely unlikely one will ever end up there. Finding a Bengal cat breeder in Utah can be difficult, but we’ve done all of the hard work for you. 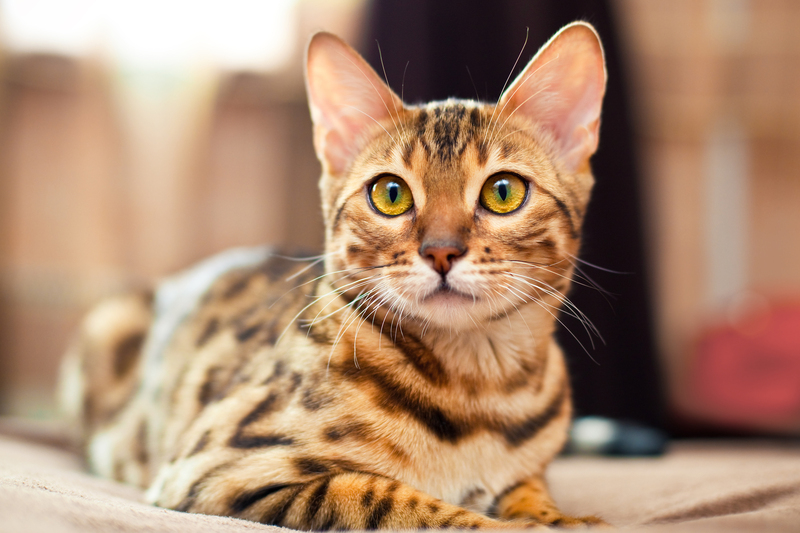 We’ve spent hours researching to find all of the different Bengal cat breeders in Utah and below you can see our list. Use the information below to research and feel free to contact the breeders if you have questions. How They Describe Themselves: A small breeder of Bengals in a loving home outside Zion National Park. Focused on quality and not quantity. I am a stay at home mom with a strong passion to nurture and I love what I do. I have a great mentor and actually a few that I talk to on a daily basis to ensure that I breed to the highest of the Bengal Standard! How They Describe Themselves: ​We believe in quality of quantity and focus on producing high-quality, loving cats that will be a great addition to your family. We adhere to the standards of the breed based on standards set by The International Cat Association (TICA). All our cats come from purebred, pedigreed and champion Bengal lines and are registered with TICA. Not finding what you want with the Bengal cat breeders in Utah? Sometimes this happens as most small catteries only have one or two litters per year. If you’re looking to adopt a Bengal kitten or adopt a Bengal cat, you have two choices. First, you can find out from the breeder(s) above when litters are expected and be put on a waiting list. Or, you can contact breeders in other states near you.